Last month we reported that Comcast was in the process of working on streaming of their On-Demand content to their Xfinity app for iPad and Android tablets. 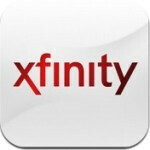 Now, iPad owners are the first to have the functionality in the new Xfinity TV app (version 1.1.1). 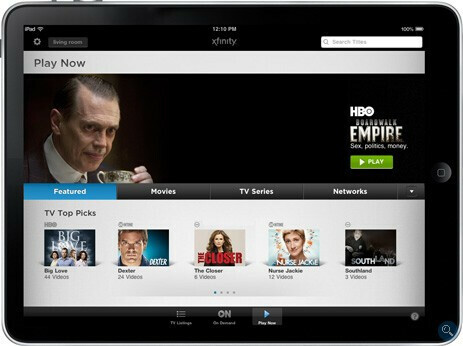 Comcast subscribers with an iPad and the Comcast Xfinity app can now access about 3,000 hours of content from Comcast's on-demand network at no extra charge. That includes movies and TV shows from HBO, Showtime, Starz, Encore, Cinemax and MoviePlex as well as TV shows from TBS, TNT, Cartoon Network, and BBC America. Selections include "True Blood," "Dexter" and "Boardwalk Empire," as well as movies like "The Hangover," "An Education," and "The Blind Side," Comcast said. Also in Comcast's Blog posting, it is said that "The app is designed to deliver an excellent viewing experience anywhere you can access a quality WiFi connection, and we plan to launch a 3G-enabled version in an upcoming release. Plus, we'll pack the video pipeline with thousands more choices in the weeks and months ahead. Our focus for this first version of video streaming was to take advantage of the larger screen and mobile capability of the iPad, and deliver an immersive video experience. We have many enhancements and feature updates planned for the coming months, and we'll also continue to evolve the video streaming feature based on customer feedback, including extending it to more handheld devices and platforms." Other features that were already in the app include being able to view your cable TV listings, schedule recordings through MyDVR, and even change the channel on your cable box. If you have an iPad and Comcast cable TV service, let us know what you think of the updated app, and how well (or bad) the On-Demand viewing is over Wi-Fi. They actually just came out with the update that's being talked about here, but it is still limited to just on demand content. I work and subscribe to Dish Network and I can tell you that there already is a TV app for the Android phones and it even allows you to stream live TV! The Dish remote app along with the Sling Adapter really places Dish ahead in the industry by being able to offer true TV Everywhere. Check out the videos for yourself! wow i was just about to buy a slingbox and so so glad i didn't the ability to stream is awesome and i figure now that all cable companies are competing in the mobile market app it will only get better.. bring on the HD streaming live tv. Yeah i seen dish has that already. thats what brought me to this post.